I'm the first to admit that I don't tend to read YA books, or anything aimed at the younger market, and often when I do take the plunge, I find myself thinking that I am the wrong audience for them. I am delighted to say that I had none of those reservations while reading Love and Other Man-Made Disasters, which is a great story of young love, and learning not to be scared. I will also admit that I was laughing at the first couple of pages, which is Juno's huge list of things she is scared of, most of which are out of her control. She is a real worrier and can't think of much worse than the family ski holiday that is about to start. Her mother has recently remarried and she now has twin 8 year old step-brothers, and a step-dad to contend with, while all she wants to do is study for her A-Levels in the Easter holidays. However within a day or two in Austria, the differences are really noticeable in Juno, and she starts to gain in confidence which is wonderful to see. As Juno's attitude changes, as does the level of description we get about the small village they are taking their holiday in, and in amongst learning how to ski, I also was treated to what its like to be a chalet girl, thanks to Tara who is only slightly older than Juno. There is also Boy (at least that is how he wants to be known) who is a ski instructor, and is just the right side of odd. As he and Juno are thrown together for various reasons and various intervals, there is some great banter, that shows the growing feelings between them. I wasn't too keen on Juno's family initially, the mother is probably the reason that Juno is so scared of things as she also errs on the cautious side, as well as very over protective. The way Juno is treated made me wonder if she was really 17, as she was at times treated at though she was 12. Her step-father doesn't appear to want her around either, which is a shame for the new family dynamic. What a lovely and fast book to read, was a pleasant easy read perfect for a lazy afternoon. 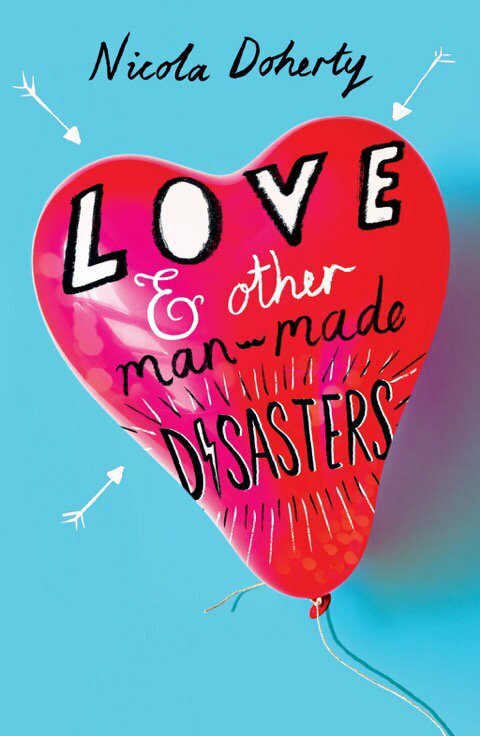 Love and Other Man-Made Disasters is a wonderfully sweet romance, that is definitely suitable for young adults (personally I would have enjoyed it equally when I was about 13 too! ), and that I think readers of chick lit generally would like. At no point did I feel too old to read this which was a concern, and I can see why Nicola Doherty is now writing for this audience, as she is brilliant at it. I am already looking forward to her next book. Thank you to Orion Children's Books and Netgalley for this review copy. This was my honest opinion.